So I spent ages yesterday stitching because that is what I wanted to do. I got home from teaching at about 2 and I started. Mum and I took a little break to visit the sewing shop and get 2 craft lights. One for me and one for her. My lamp is one the the portable ones with a cord. I didn't realise until I started using the lamp how sore my eyes were getting by not using the lamp. 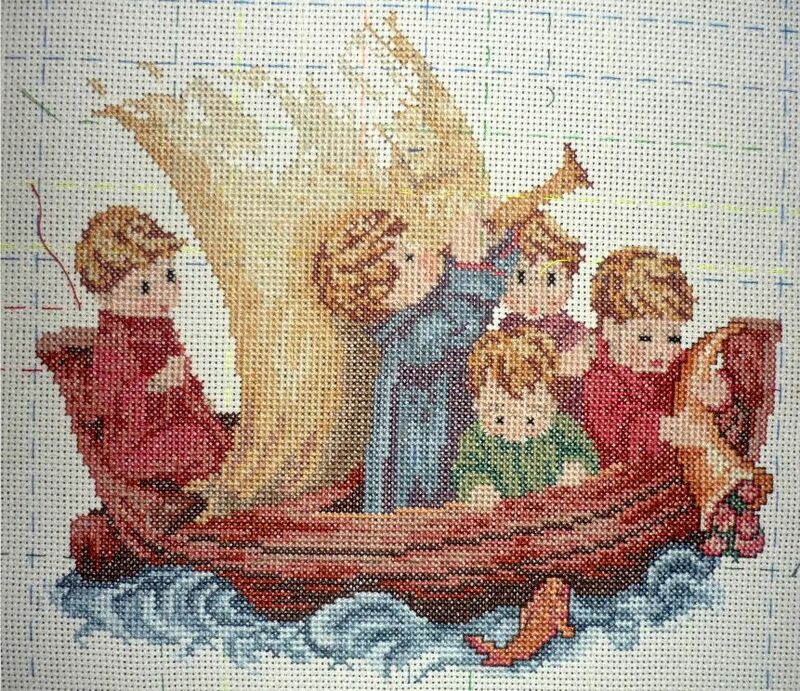 So last night with breaks for food I spent most of my time stitching. 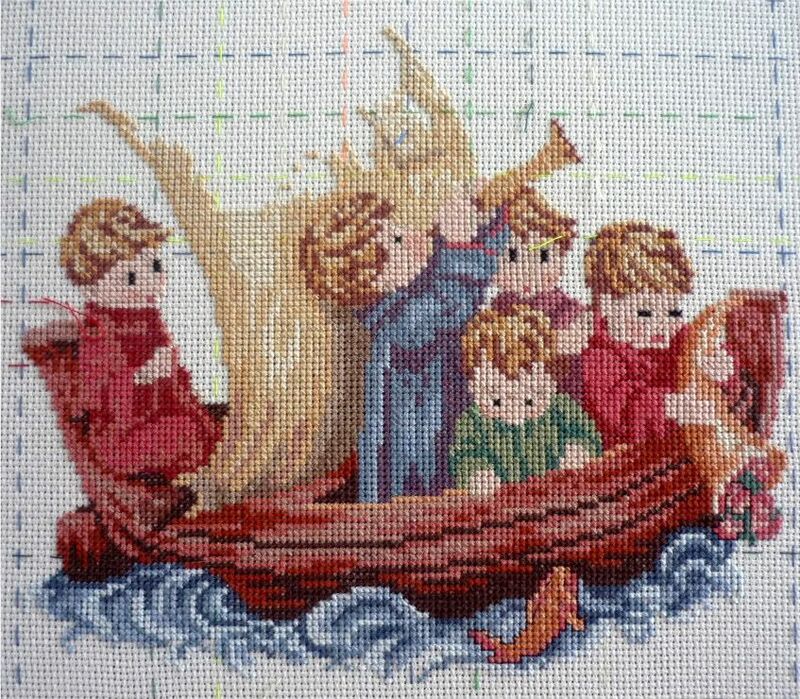 I've finished one colour in the sail and it was the main colour and I've done some more back stitching. I'm putting up yesterdays update so that you can see the progress it is really noticeable when they are side by side. I may even have another post today as we just found out our softball has been canceled due to the weather. Which is good because the diamond we were on would have been slush but bad because I wanted to play. Oh well another day of stitching for me then :D under my wonderful new light. Lovely work Caitlin. Its so great to see someone so young as keen as you are to craft. Well done. I look forward to keeping in touch & seeing your work grow. Great work Caitlin. I look forward to following how your work grows. Its so nice to see someone your age enthusiastic about crafting.